Enjoy great savings on Victoria Premoum Automobile's selection of premium quality vehicles During the 2016 Year End Clearance Sales Event! 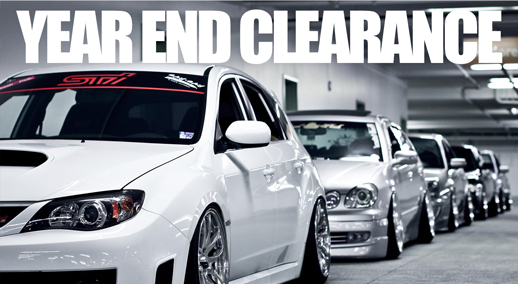 Take a look at our clearance showroom and find your ideal, premium-quality vehicle and expect to save thousands of dollars! On behalf of everyone at Victoria Premium Automobiles, we would like to say "thank you". We value the trust you have put in our premium quality vehicles and sales staff. It’s always a pleasure serving you and we certainly look forward to doing that again in 2017. Looking for that special, once-in-a-lifetime Christmas gift? Stop by Victoria Premium Automobiles and take a look at our inventory of premium used vehicles. While you won't be able to fit it under the tree, a car is a marvellous way to celebrate the Christmas season. Need to free up money for a new home purchase? Want to reduce monthly expenses to qualify for a mortgage? Or are you just looking for ways to save money and reduce stress on your budget? Victoria Premium Automobiles may have the solution.